In our most recent newsletter, we looked at Seattle’s new contracts with Waste Management and Recology. Those two companies are incumbents, so the most interesting thing is not that they won the contracts – the most interesting thing is what the contracts say about the vehicles to be used in collection. Specifically, the contracts require the companies to use alternative fuels of some sort in their trucks. Long-time readers know that I believe a solid waste company’s real customer is the city council, or county commission or special district board. The Seattle example demonstrates that sometimes what those customers want doesn’t really have much to do with solid waste. Seattle is concerned about greenhouse gases, and used the leverage it has with collection companies in solid waste contracts to advance this goal. Solid waste and recycling companies are used to dealing with local governments’ widely differing approaches to solid waste and recycling policy. 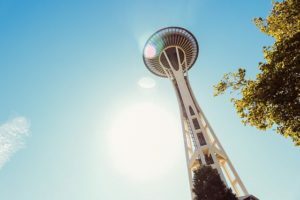 The Seattle example demonstrates that companies must also be aware of policy considerations from outside the solid waste arena in order to serve their local government customers. City councilors are thinking about a lot more than garbage, and if your company can help meet those needs, you’ll be a step ahead. How do you know what local elected officials care about? You have to listen to them. Remember, they’re your customers, after all. Jeff Eager is the founder and CEO of Waste Alert. Jeff is an attorney specializing in solid waste and local government, and is the former Mayor of Bend, Oregon.